Corinne Olympios won't return to Bachelor in Paradise following her involvement in a highly-publicized scandal on the ABC series. The 24-year-old reality star confirmed she quit the show in a statement Thursday after ending her legal team's investigation into claims fellow contestant DeMario Jackson sexually assaulted her during filming. "My intent over the past few weeks has been to learn and understand what happened on June 4. While I never filed complaints or accusations against anyone associated with Bachelor in Paradise, my team and I felt it was very important to be thorough in getting to the bottom of what occurred," Olympios explained. Production on the ABC reality series resumed last week after no evidence of misconduct was found during the investigation of an alleged assault. "I felt victimized by the fact that others were judging me through conflicting and unsubstantiated reports, while I myself had no recollection of the events that transpired," she added. "My team's investigation into this matter has now been completed to my satisfaction. I am also happy about the changes that have been made to the production of Bachelor in Paradise." "While I am extremely grateful for the opportunity to have been a participant on The Bachelor, and while I was invited to return to Bachelor in Paradise when production resumed, I respectfully made the decision not to," the star said. ABC and Warner Bros. Television suspended filming this month after a producer raised concerns about Jackson and Olympios taking part in sexual acts in a pool while under the influence of alcohol. Warner Bros. concluded its own investigation last week after finding no evidence of "misconduct." TMZ reported Tuesday the new Bachelor in Paradise policies include a two-drink maximum per hour. Sources said the show's crew and bartenders will be tasked with monitoring drinking levels among the cast. Production on the reality show was suspended after a producer allegedly witnessed an incident between castmembers DeMario Jackson and Corinne Olympios. Jackson himself said in an interview with E! News published this week that the events of the scandal were "the hardest 11 days of [his] entire life." 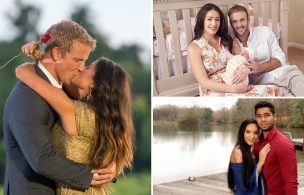 He added he is focused on his "family" and not on his potential return to Bachelor in Paradise.